It is vital to control a project’s budget tightly. 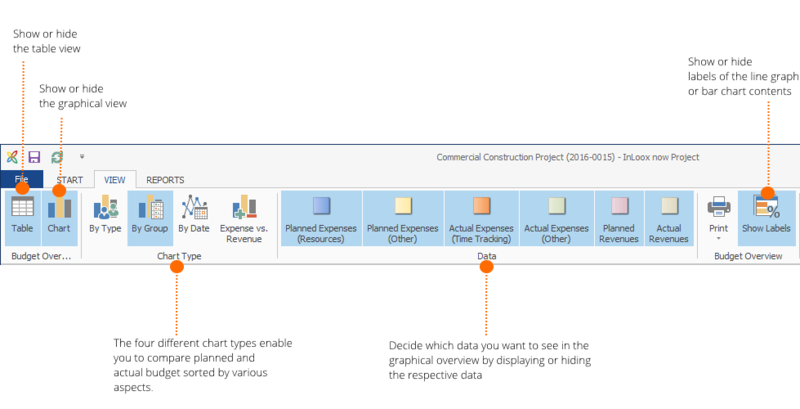 The Budget Overview in InLoox for Outlook enables you to compare your project’s actual and planned expenses in real-time. To get to the Budget Overview, navigate to an InLoox Project >> Start >> Budget Overview. The budget view is a visualization of your budget, so all the data in the budget overview come directly from your project budget. To be able to see anything in the budget overview, you will need to have the respective budget data. You can control which data you want to see in the budget overview, but you can only make edits to them in the budgets directly. You can decide what information you want to see in the budget overview of your project. 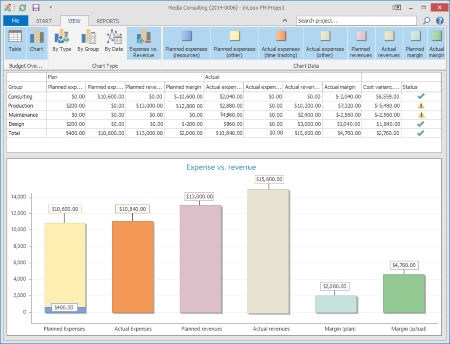 Display your budget as a table, sorted by budget group, or view it in various chart types, depending on the information you would like to display. Selected Budget Overview features • Copyright 1999-2019 © InLoox, Inc. All rights reserved.